First published in 1966, reprinted in 2009 with illustrations Philip Smiley, and now offered for as a free e-book via Smashwords, The Green Bronze Mirror is a wonderful example of out-of-print books getting new life from the new publishing freedom created by the indie-publishing movement. 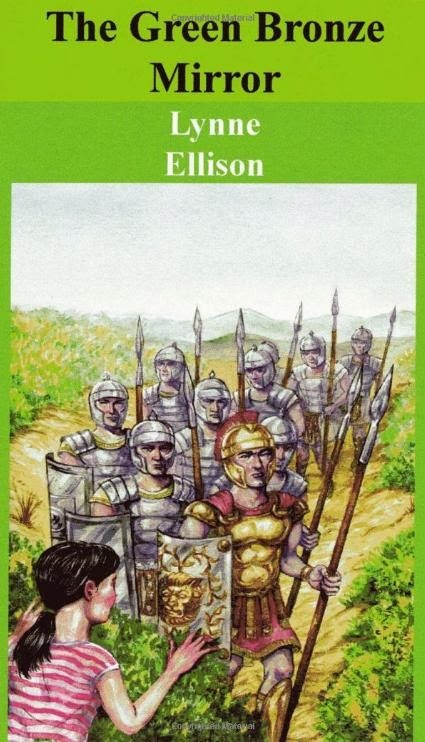 The Green Bronze Mirror is a young-adult historical novel set in Ancient Rome under the Caesarship of Nero. 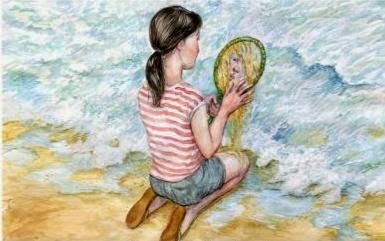 A teenaged girl in Wales in the 20th century finds a Roman-era bronze mirror in the sand at the beach. When she tries to rub the green tarnish off the mirror, she activates a druid's spell that transports her back in time, to the time of the druid, circa 65 A.D. 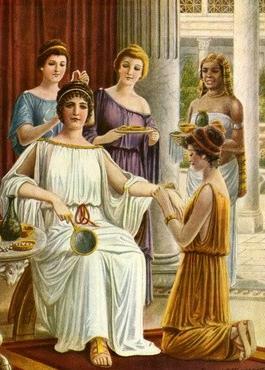 The girl then lives a year in the Roman Empire before managing to return to her own time, with seemingly only a few hours having passed in her time period. 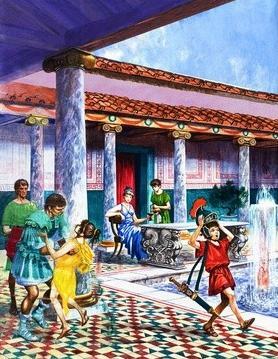 I have difficulty with books for children that are set in Ancient Rome because that time period was institutionally sadistic. Daily life involved slavery, torture, public executions, misogyny, brutality to animals, infanticide and blood sports. They even would crucify criminals during plays that called for a depiction of a crucifixion, because the audiences found it so entertaining! These are not things to be glorified, nor to be glossed over, when telling children about that era. 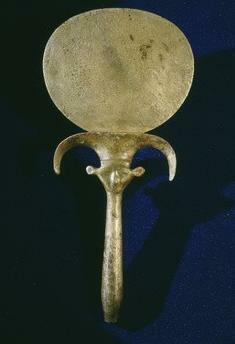 The Green Bronze Mirror does not glorify these things, nor does it ignore them. The brutality of the era is explained in subtle ways, and the civilizing effects of Christianity are shown. I admire the author for managing to do this in a book meant for children. But because of the book's subject matter, I would suggest the reader be 12+, and preferably older than that! Once the young girl is transported back to Ancient Roman Britain, the story moves along quickly. The protagonist goes from Britain, through France, into Italy. She spends time in the capital, Rome, before returning to Britain. All her various adventures are explained, but the sexual dangers she faces are only touched on lightly, or avoided altogether, which is appropriate for this level of book. I was struck by the lack of emotional reflection or depth in the writing, but this could be explained by the author's young age when she wrote the story, which was presumably age 14! The book reads like the young protagonist tells the story, even though it is written in the 3rd person, so I would call the narrative voice 3rd person limited. I must warn you, there are some minor scanning errors in the free e-book which appears to have been made by scanning the paperback reissue. The scanning errors do not interfere with the readability of the book, only with the layout of some of the pages, and of few mistaken words. The free e-book is offered via Smashwords. Smashwords is an on-line e-book shop and distribution service that offers all their books in various e-book formats including epub, Kindle (mobi), and pdf. Where Amazon.com adds a surcharge onto Kindle sales to countries without official Kindle Stores, Smashwords does not. Kindles sold via Smashwords cost the same for every customer no matter where they live in the world. Please visit publisher Christopher Posner's website and blog. Here is a link to information about the Author, Lynne Ellison.